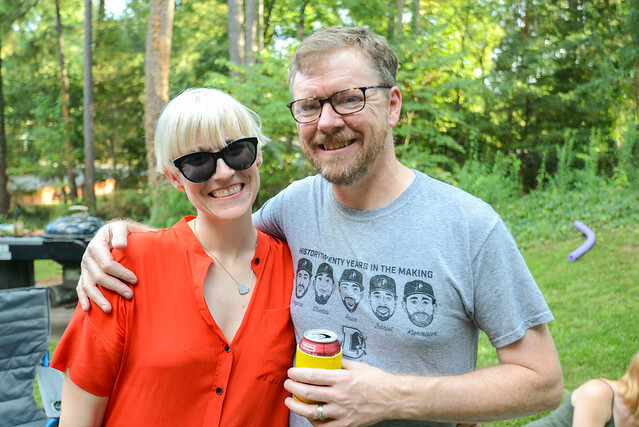 I was in Chicago a couple weekends ago, staying with past die-hard Meatwavers Lindsay and Brandon, and they asked how things have changed with the cookouts since moving to North Carolina. Mainly I think about how we've shifted the season to happen more during spring and fall rather than summer, have more vegetarians, and already have a regular crowd size that took many, many years to build up in New York. 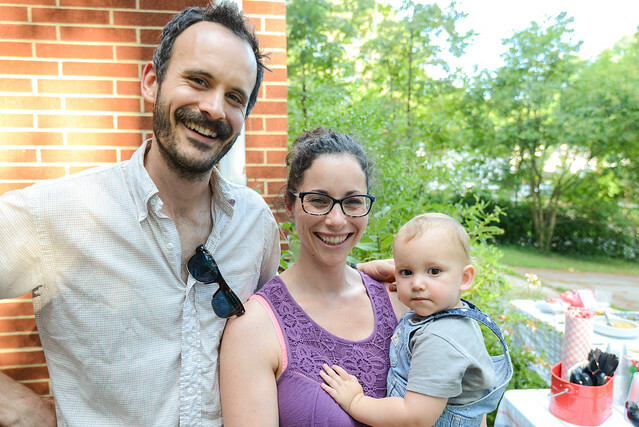 My wife had a different answer though, she sees me going more all out in Durham than I ever did before, and I never really stopped to consider that. 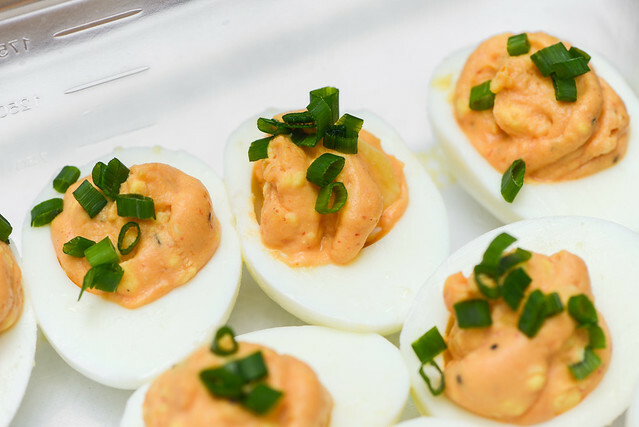 Putting together this recap post though, it proves to be very true—where I used to try to get three or four new recipes out of a Meatwave, this one clocked in with eight dishes that I can share on the blog, and past events tell similar stories. So without further ado, I present to you the massive spread we had going on at this Chinese-inspired feast. 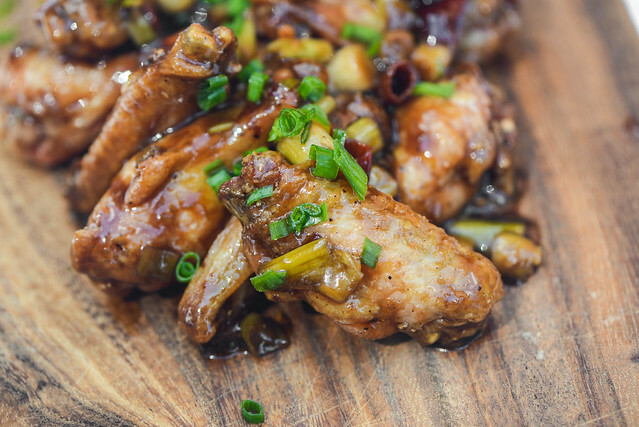 The Chinese theme was born out this wing recipe that was on my to-do list—General Tso's chicken wings. 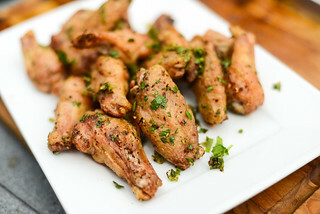 I worried that without the batter and frying, the crispy, crunchy part of the General Tso equation would be lost, but using the baking powder and air drying method to get crispy grilled wings didn't disappoint, creating a crunch that held up even after being tossed in that that wildly addictive savory, sweet, and spicy sauce. Also on my wing list were these char siu wings, which presented a bit of a conundrum. 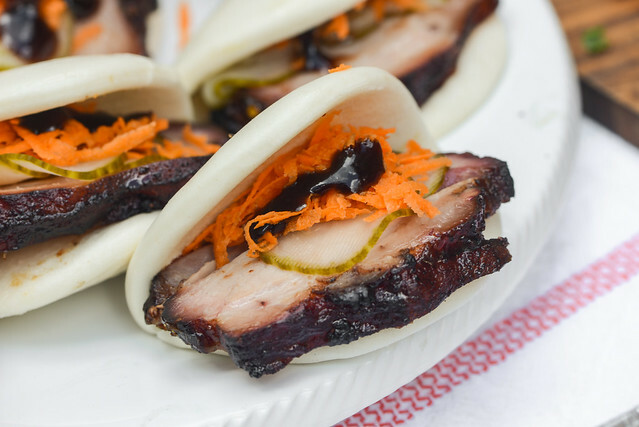 The norm for anything made with sweet and earthy char siu sauce is to marinate it for a long time, but a marinade on wings will usually equate to flabby skin. 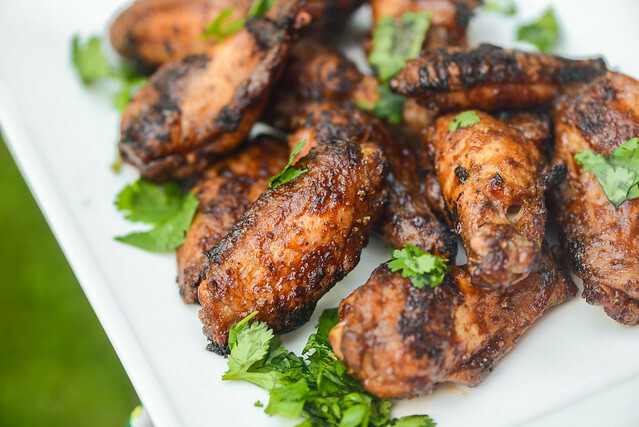 I really wanted all the flavor with a crisp exterior though, so I waited until just the end of cooking to apply the sauce, which, thankfully, didn't result in any loss of char siu flavor on these excellent wings. I figured if I was already putting together char siu sauce, why not make a ton of it and spread out the love. 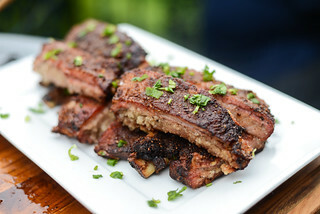 I also used the sauce on pork belly, which I smoked until completely tender and still juicy. 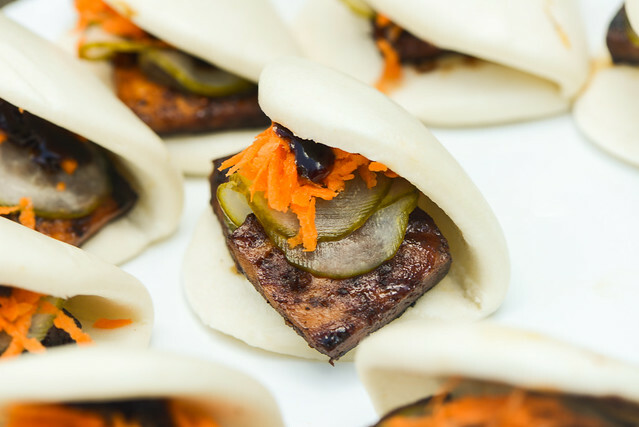 I then sliced the belly and nestled the pieces into steamed buns and topped with quick pickles, fresh grated carrot, and a dollop of hoisin to make these super tasty pork belly buns. I didn't want vegetarians to miss out on these fantastic little appetizers, so cooked up some char siu tofu to make a meatless version. Since the tofu acted like a sponge, soaking up more sauce than the pork, these were even more deeply flavored with that char siu magic. 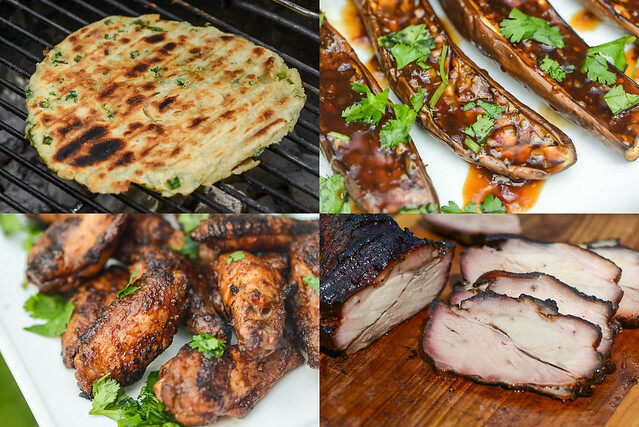 I've become quite the scallion pancake cook over the past year and decided to share my new skills with the Meatwave crowd, as well as see how this quick bread fared on the grill. Luckily, all turned out great as these pancakes cooked up as crispy and flaky as could be over the hot coals. 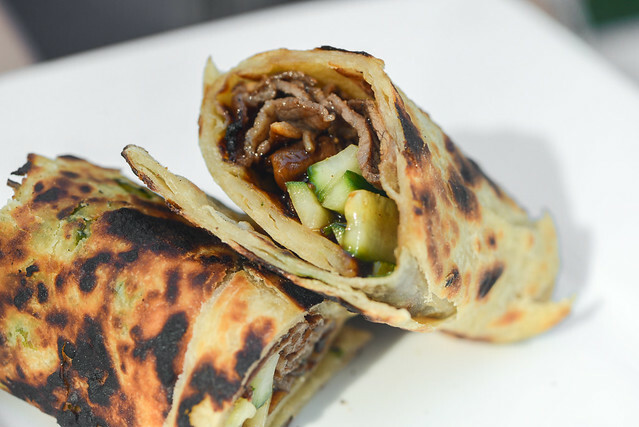 I used a portion of those pancakes to make these scallion pancake beef rolls. Stuffed inside was thinly sliced short rib that was marinated in a savory sauce and then grilled, along with fresh cucumber, and a drizzle of hoisin. 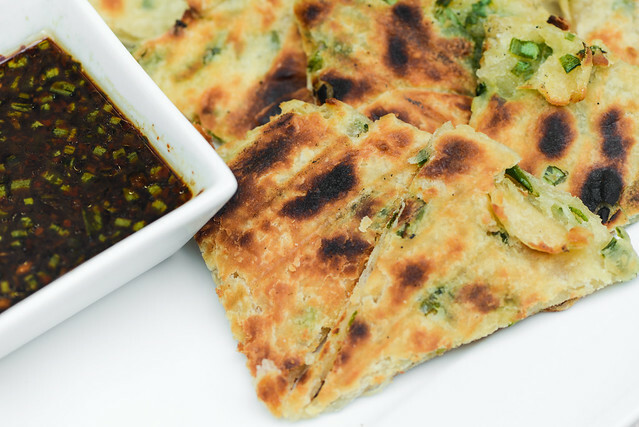 If you ever thought scallion pancakes can't get any better, then you haven't tried out these rolls yet. 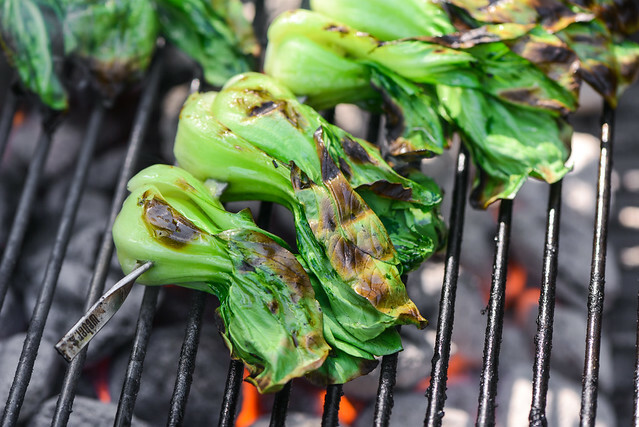 As a quick side dish, I skewered a bunch of small bok choys, brushed them with sesame oil, and then quickly grilled them until they turned bright green and tender. I finished them with a soy-ginger-garlic sauce that added a nice bite and strong savory quality to the bok choy. 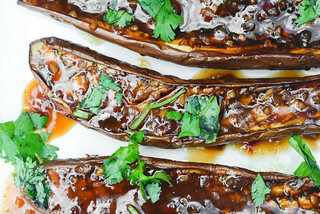 And last, but not least, on my new recipe list were these grilled Chinese eggplant coated in yu xiang sauce. 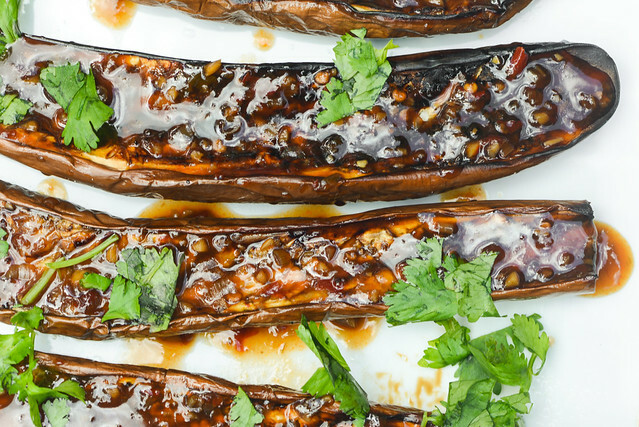 I'm not usually a fan of what I consider to be mushy Chinese eggplant dishes, but the combo of a little more texture from the grill and the intense flavor of the spicy Szechuan yu xiang sauce made me a strong believer in these. Next we have Kristin's strawberry-lychee punch. 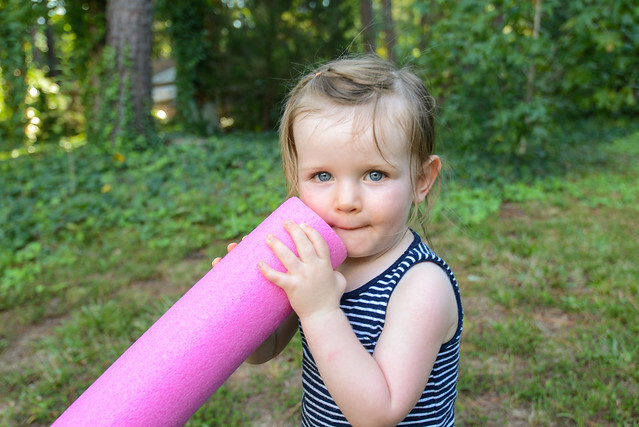 I was a bit worried about the weather, which reverted back to muggy summer conditions after a couple weeks of beautiful, crisp fall warmth prior to the event. 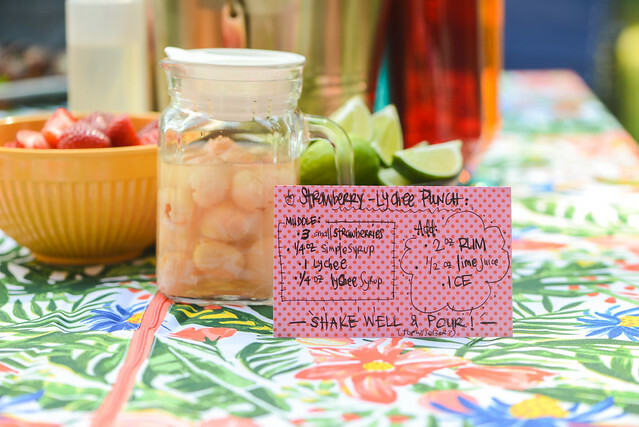 This punch was the perfect way to beat the heat and feel both seasonal- and theme-appropriate. 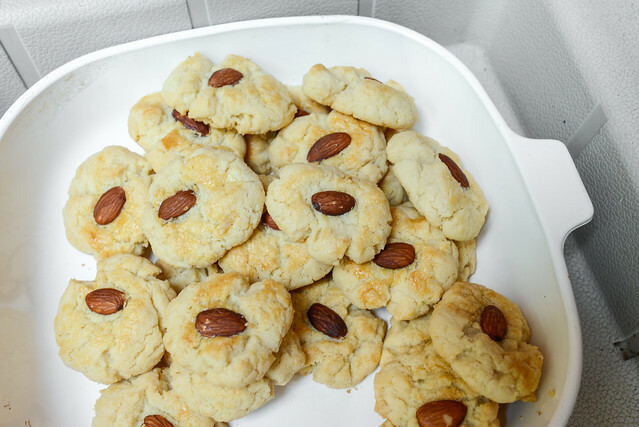 And then for the most loved dessert of the day—almond cookies made by Lindsey. Everyone was telling me to get to some throughout the day, but I was waiting until I cooked and tried everything else before moving on to dessert. I feel like I would have been much happier though if I had been eating one of these sweet and buttery cookies between each savory item to maximize how many I was able to consume in one day. A fell like this Meatwave also had a secondary theme—Neko! 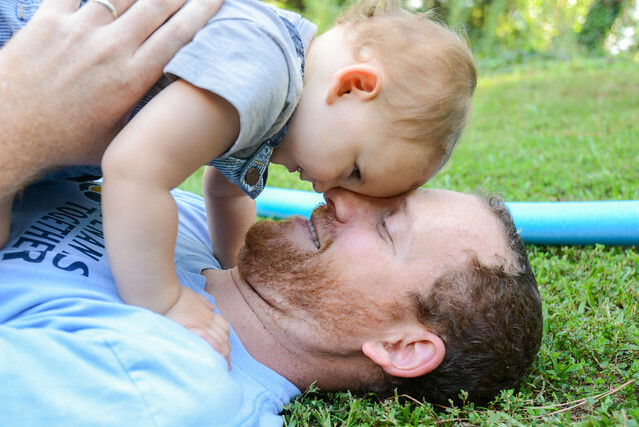 Neko seemed to be stealing hearts and working her way into photos with everyone, starting out rightfully here with daddy Gabe. 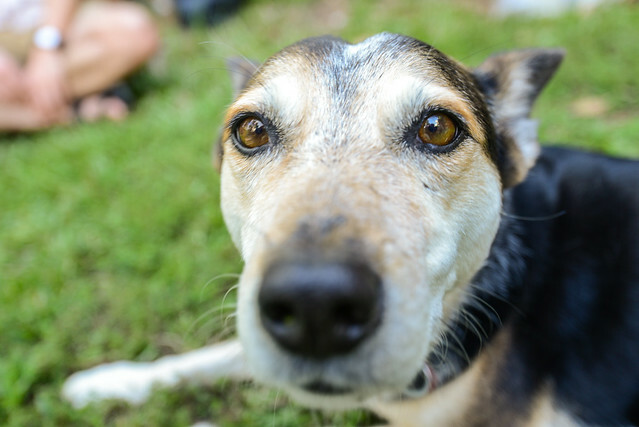 Neko got in here with Bryan and Jenny, after their first attempt with a photo with another adopted family member, Betty, failed. 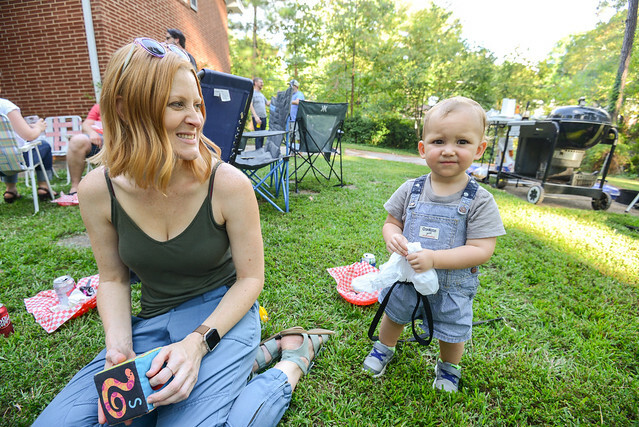 And Neko makes another appearance with mommy Sarah and Evan. Lindsey wins for having the best photo with Neko. We're accepting captions in the comments. 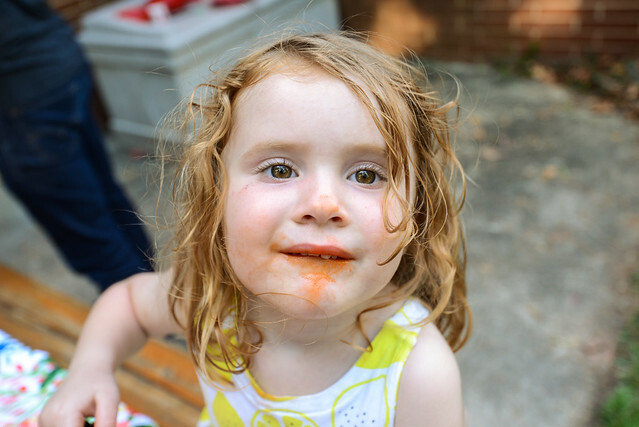 And lets not forget the other tots—Annabel, who clearly enjoyed her orange Italian ice. And Alice, who never fails to pull the noodles from the garage at every Meatwave. 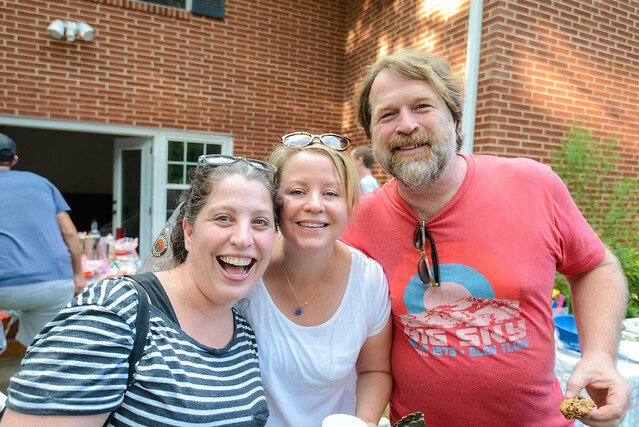 Yes, we had some adults show up too. 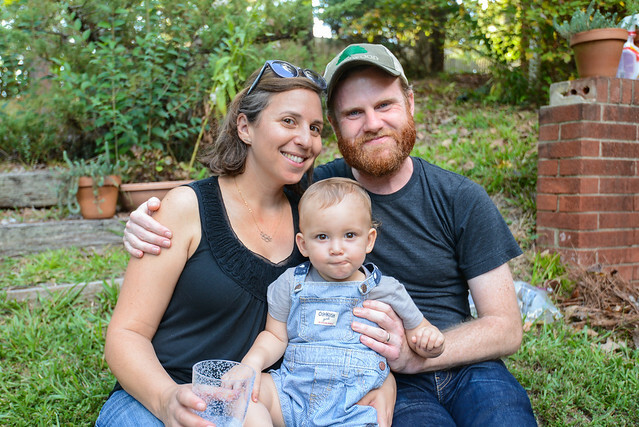 Chris, Mary, and Josh take a photo just as good as any small tike. I can't forget to give Leslie and Steve representation, who are on track for the perfect attendance record for the 2017 season. Then, always ending the parade of awesome people (and pets), is Betty, who I'm sure is excited that there's still at least one more Meatwave left before we wrap things up for the year.